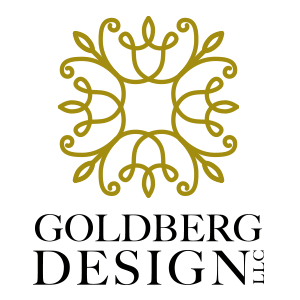 Goldberg Design specializes in creating elegant and artistic environments for commercial and residential interiors. We have designed interiors for a diverse range of clients throughout the Northeast. Our projects range from large estates to small one-room renovations. We understand that the interior space surrounding you directly affects the quality of your life, and we work closely with you to make the right decisions – down to the smallest detail – to create the environment you seek. Our focus is to provide you with a satisfying solution and to make your home or office a source of enduring pride, comfort, and value. Contact Liz Goldberg to schedule your consultation to get started!